The Golden State Warriors appear poised for their third title in four years (would be four in four if not for blowing a 3-1 lead). Warriors guard Stephen Curry appears better than ever. In the biggest game of their season in Game 7 of the Western Conference Finals, Curry slayed the top seeded Rockets in Houston with 27 points, including 7-15 from deep along with 9 boards, 10 assists, and 27 points. The first two games of the NBA Finals against the Cleveland Cavaliers, he's thus far averaging 31 points on 14-29 shooting from 3, including a record 9 three pointers made in Game 2. 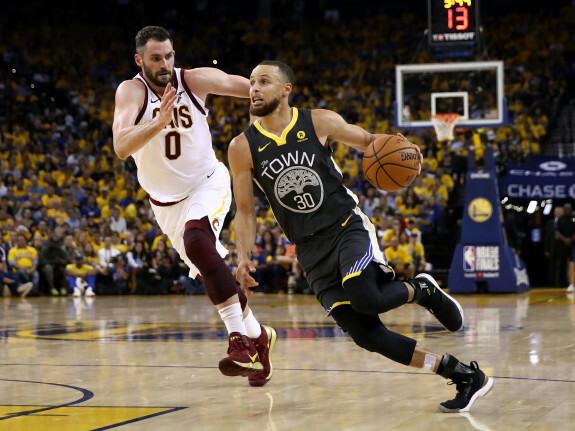 Curry continues to be the engine that can't be stopped (doesn't hurt to have Durant and the rest of the supporting cast, but he is a worthy Sportsman of the Week!